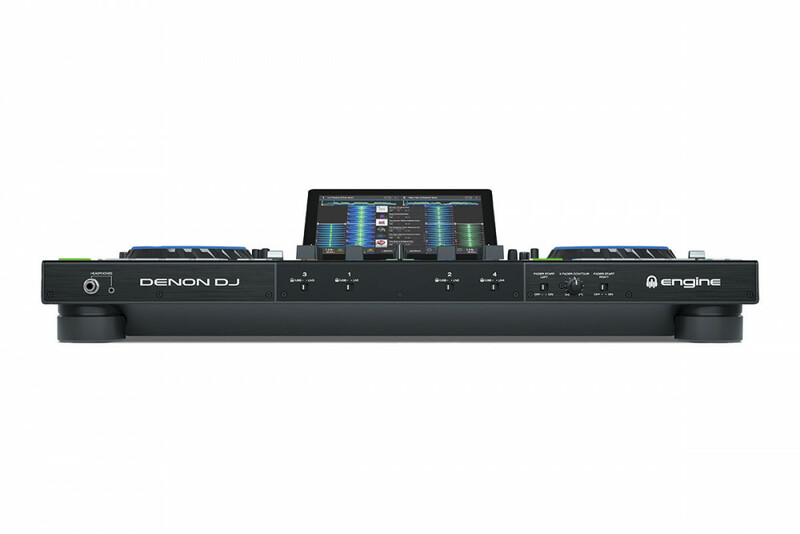 The Denon DJ Prime 4 is a 4 channel, stand alone controller capable of playing from USB and SD card as well as having a 10" multi touch screen and on-board track analysis. 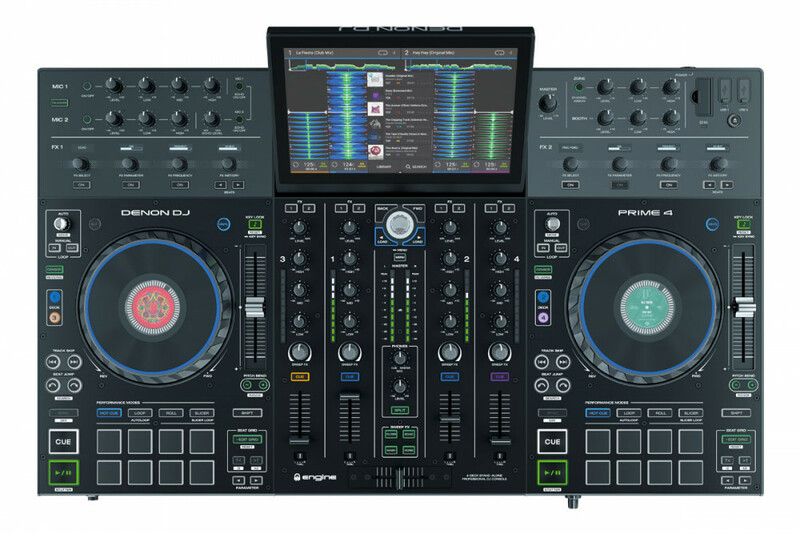 The Denon DJ Prime 4 - ultimate DJ mixing console. Meet the new Denon DJ Prime 4, a complete standalone DJ unit with more features than we’ve ever seen crammed in to one box. This certainly ticks a lot of boxes for almost all types of DJs. The Prime 4 is the first fully featured, pro level controller with stand alone functionality and 4 channels. The 4 channel can play audio from the built in dual-layer players and also has 4 analogue inputs for turntables or media players. It doesn’t stop there, where other controllers will sacrifice a music channel for a mic channel, the Prime 4 has 2 dedicated microphone inputs with EQ , effects and talkover. Similar to the touchscreen found on the SC5000/M players the Prime 4 features a high resolution, multi touch 10 inch display. This is used for track browsing, on screen keyboard, waveform displays (horizontal or vertical) and even creating playlists. Gestures we are all familiar with can be used here to, swipe to load, pinch to zoom and scroll to browse. The screen can be tilted at different angles or just lay flat for transporting. We think this is a really great feature, while you are DJ’ing you can sill send a preset playlist to play on a single channel and have that play through the zone output. This means you can have play to the main room and still have background music in another area with out the need for a secondary system. 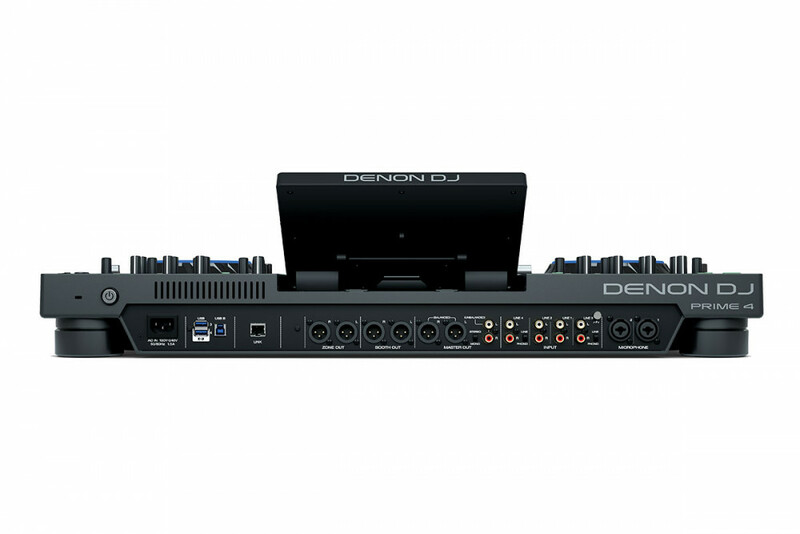 The Denon DJ Prime 4 can play music from up to 4 USB sources like pen drives or hard drives as well as an SD card slot. The real thing to get excited about is the internal bay to fit a 2.5” SATA drive. This is the same type of drive you’ll find in a typical laptop, giving you the option to keep your music stored within the player. 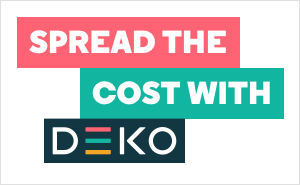 High quality music files can be played, for example WAV, FLAC and ALAC. You can even record your mix back to one of your sources. Each deck has performance pads, which are backlit with RGB LEDs and can used for cues, loops, rolls and slicing. The effects section is a beauty to behold, select from 13 effects independently on each player and use the stunning OLED displays to show you the effects and parameter settings. The mixer section houses 4 sweep effects early controlled from each channel with a dedicated control. The large 6” metal platters have a great feel to them and also house a high resolution display to show you essential track information, artwork or just your own logo. With a customisable LED ring around the edge of the wheel, the Prime 4 makes it easy to identify which deck you are controlling and playing. With it’s multi core processor on-board the Prime 4 can handle on board track analysis including reading data from storage devices prepared with RekordBox, Traktor or Serato. This also allows it have a class leading time-stretch algorithm to make the most extreme tempo changes possible while still maintaining key and pitch. Denon DJ has a heritage of building high quality, club grade equipment and the Prime 4 is no exception. It has a metal chassis with high quality encoders and caps. Internally the sound is set at 24 bit audio for the most demanding ears. 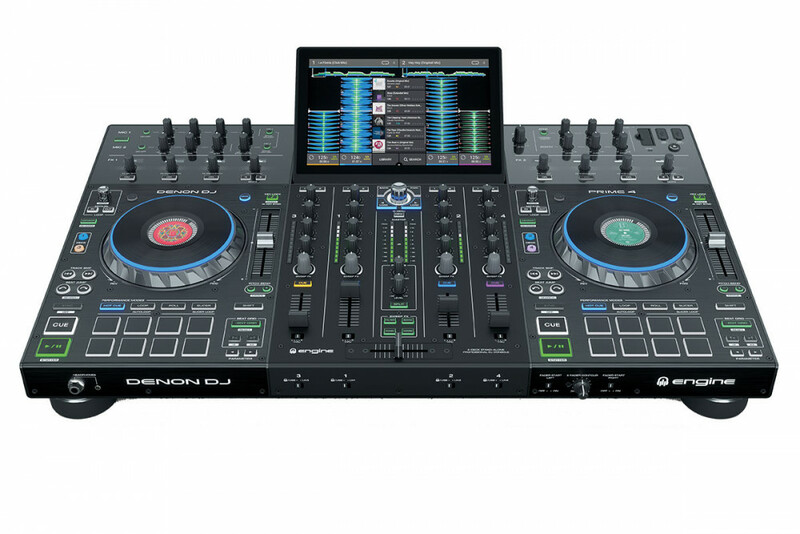 Seen the Denon DJ PRIME 4 Stand Alone Player With Touch Screen Cheaper?